We know about the importance of STEM education and how it is important for children. When it is introduced at early age, STEM proficient students become effective communicators and creative thinkers, they face challenges and develop fast solutions based on the combination of knowledge in technology, math and science. While math seems a boring subject, when it is presented as a game it is much fun to learn. Recently we had a chance to try one of those games, I am sure every child would love to play. 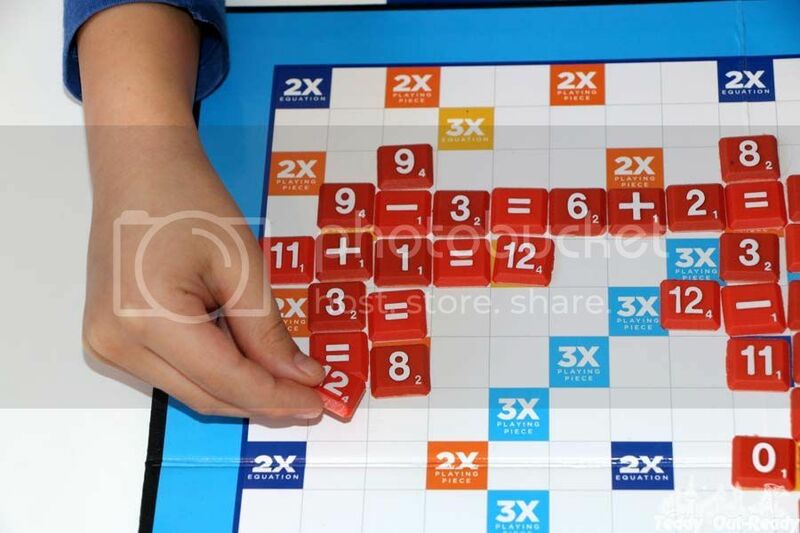 SMATH is crossword-puzzle type board game that helps children to learn math in a fun way. Designed for ages 6 and up the game is perfect for 2-4 players. 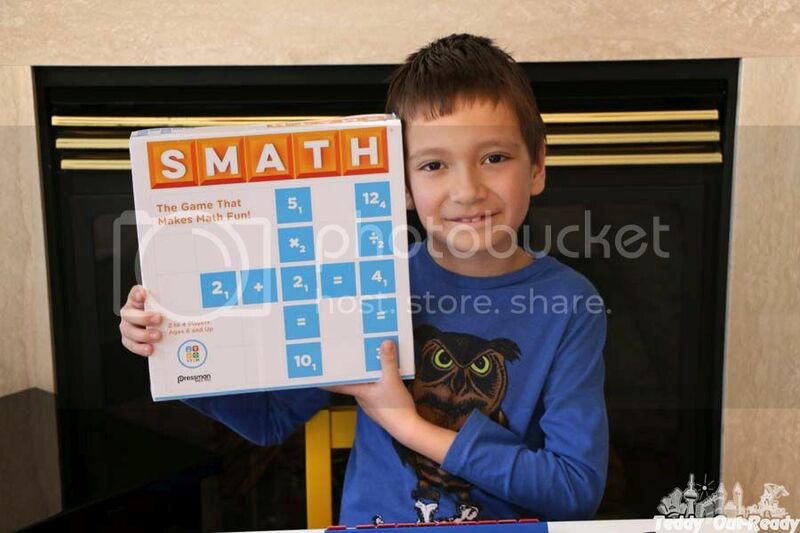 SMATH comes with 184 playing pieces, Game Board, 4 game racks, Storage Bag and Complete Instructions. 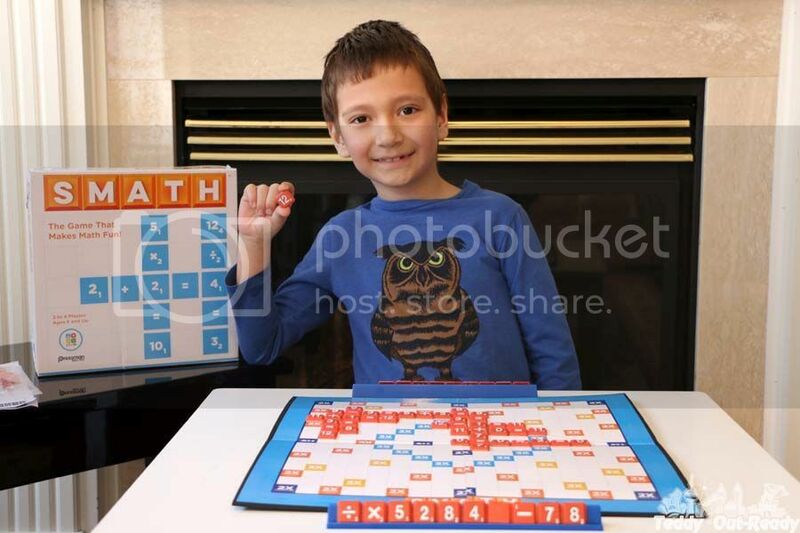 Players use number and symbol tiles in their racks and the ones already on the board to make math equations crossword puzzle style. The player who scores the most points making math equations wins the game. With every equation players move on in math game, they reinforce math facts and score points. You can start with basic math statements, just addition and subtraction equations and then move to more complex ones which includes multiplication and division. The game has numbers from 0 to 12, so players may not pace two tiles together to make a larger number. While it seems a limitation at first, we realized that it gives more brain work to find the right math equation. Adding parentheses gives more opportunities to create an extended equation. I like that the game always make you think, search and analyze what is the best way to use the numbers. We had a really great time playing the game. It gives you resources to play and you have to find a solution within those limits. There are 10 tiles on your rack and what is on the board. Players have to use their math skills and create combinations to make an equation. And always remember about the order of operations, it helps a lot in this game! The challenge of creating the longest and most complex statement is accepted, because more tiles you use, more points you get. Overall, I find this SMATH is great math game to develop basic math skills and learn the order of operations. Teddy even stopped playing his computer games to join SMATH. It makes your brain work really hard and I feel hungry after playing the game. SMATH is very affordable game, you can get it on Amazon and other large toy and educational stores across North America for about $20!